SALT LAKE CITY – Bamboo clothing, bedding and bath goods retailer, Cariloha, this week launched its premier line of Bamboo Style shirts and spring graphic tees, which are made from eco-friendly bamboo-blend fabrics and designed and inspired by Cariloha’s product designers. Available exclusively at Cariloha stores, the new Bamboo Style shirt collection features eight women’s shirt styles and five men’s styles all offered on 20 different color combinations. The spring graphic tees selection contains six women’s and six men’s designs also available in the 20 new color options. 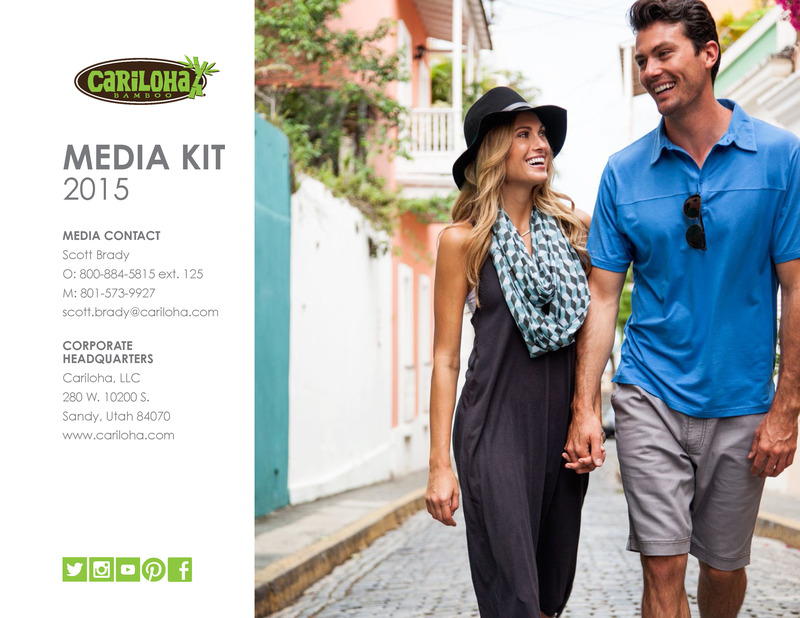 “The new styles and designs provide customers with an assortment of on-trend, comfortable shirts that are adaptable and fashionable enough to be worn in multiple settings and occasions,” said Scott Brady, Cariloha VP of Communications. “Not only are they in high demand right now, but they’re also mixed in with several unique, tonal colors that customers will enjoy. Cariloha’s Bamboo Style shirts, featuring new graphic prints, are made from Cariloha’s proprietary viscose-from-bamboo blends, which consist of 70% viscose from bamboo (in most shirts) and 30% organic cotton for additional structure and ideal drape. New styles include striped V-necks, hoodies, heathered scoops, racer tanks, Dolman shirts, and pocket crews. Retail price is $34. •	NEW STYLES AND FIT – All men’s and women’s tops have been completely updated to coincide with current market trends. •	NEW COLORS – New on-trend shirt colors. We aligned these new colors with our most recent Graphic T-shirt Design launches. •	NEW BLENDS – Featuring the softest bamboo shirts ever created by Cariloha. •	NEW DETAILING – First-ever heathered bamboo shirts, pocketed shirts, and permanent-stripe shirts. •	NEW BRANDING – All-new neck prints and woven branding labels with color-coordinated patch labels and Cariloha branding clips. Cariloha Bamboo shirts come with a 90-day quality guarantee. If the shirts don’t live up to the customers’ expectations, Cariloha will replace them free. The Bamboo Style shirts are machine washable and tumble dried low, so maintenance is easy and worry-free. They get even softer after washing. See all of Cariloha’s new bamboo graphic tees for men and women here.